REED: Could Cardinals draft Kyler Murray and keep Josh Rosen? The Arizona Cardinals are on the clock with the No. 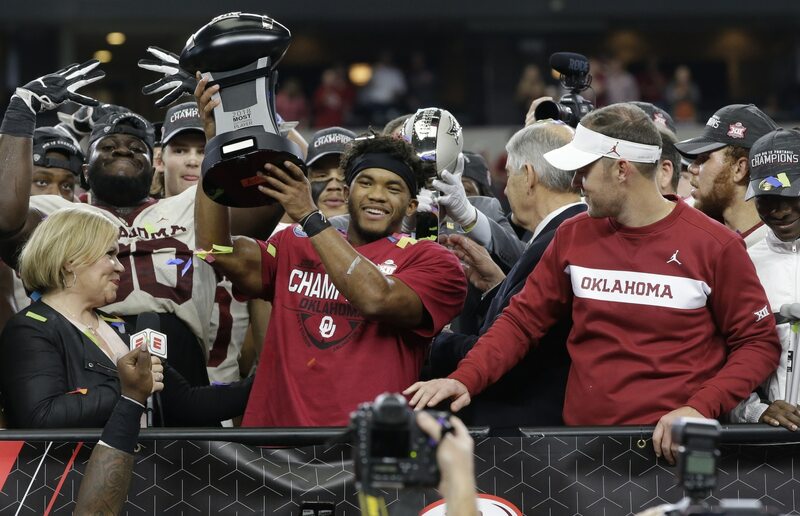 1 overall pick of the 2019 NFL Draft, and some have suggested Kyler Murray should be their pick. Murray has committed fully to playing quarterback in the NFL. His announcement on Monday left no room for interpretation — especially in light of reports that he’s repaying over $1 million in bonus money to the Oakland Athletics. The idea that the Cardinals could potentially select Murray at the top of the draft, despite having drafted Josh Rosen No. 10 overall last year, isn’t just idle speculation. Before he became head coach in Arizona, Kliff Kingsbury gushed over Murray and said he’d “take him with the first pick” of the draft if he could. “Kyler, I mean, he’s a freak, man,” Kingsbury said at the time. “Kyler is a freak. I’ve followed him since he was a sophomore in high school. Just think the world of him and what he can do on a football field. I’ve never seen one better in high school and he’s starting to show it now at the college level. I don’t have enough good things to say about him. He’s phenomenal. Kingsbury isn’t wrong about Murray’s abilities on the gridiron. Even after getting hammered in the first half of the CFP Semifinal against Alabama, Murray had a monster game in defeat and nearly pulled his team to victory. Additionally, Murray signed with agent Erik Burkhardt, who also happens to represent Kingsbury. So, you don’t have to be a rocket scientist to connect those dots. Assuming Kingsbury has interest in rolling with Murray under center to run his version of the Air Raid offense, where does that leave Rosen? The Cardinals could trade him — it’s an awful year overall for quarterback-needy teams, and Rosen likely would be more attractive to those teams than some of the rookies coming out of college. Or, Arizona could roll the dice and keep Rosen. Thanks to the rookie pay scale, Rosen’s contract is a bargain — he’s not going to make more than $5.59 million in any of the next three years. Even counting what Murray would make if he were selected No. 1 overall, the Cardinals would be sitting pretty in terms of cap space devoted to the quarterback position. If Kingsbury truly wants to rock the NFL and bring the Air Raid to the pros, selecting Murray gives him the best chance to succeed. So, as nuts as it sounds to take a quarterback in the first round two years in a row, the Cardinals absolutely have to consider doing it. And if they do, they should also consider keeping Rosen, just in case.